Warrior is proud to expand our Custom Painted Body Bait selection for 2017! 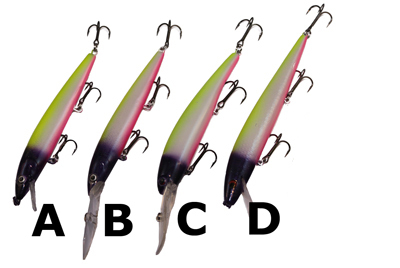 We now carry 5 Body Bait Styles from 2 manufacturers; Rapala® and Smithwick®. Rapala, "Down Deep Husky Jerk", "Husky Jerk", HJ and DHJ are registered trademarks, or copyrights, of Rapala VMC Corporation.